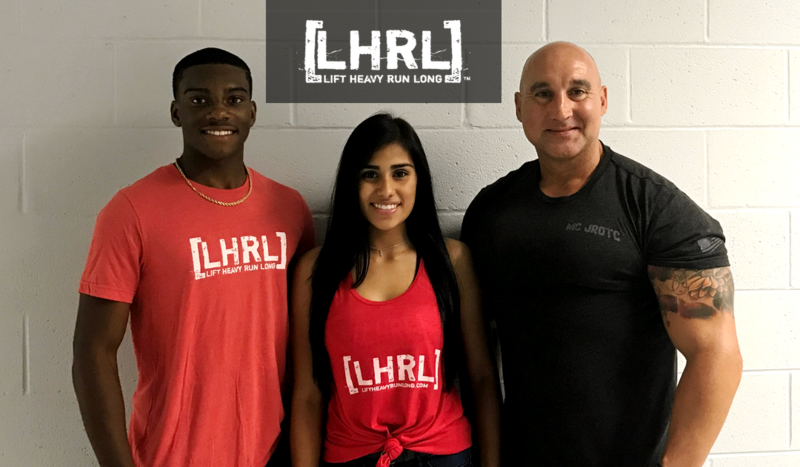 Tom Herman, a coach, Marine, business owner, teacher and mentor joined us in the LHRL™ this week. He brought with him a couple of his students, Jennifer Panuco and Randall Byrd. Jennifer is a JROTC Mississippi State Champion and Randall is a State Champion in both cross-country and track. Tom is 48 years old and originally from Connellsville, PA (near Pittsburgh). He has been married for 24 years and has two children: Katee (14) and Karis (9). In 1987 Tom enlisted in the Marine Corps as an infantryman and served 28 years on active duty, retiring in 2015. During that time, he served with the special operations unit, FAST (Fleet Antiterrorism Security Team) Company. The FAST Company mission is to provide embassies with an increased terror threat a hardened security posture that enables us to detect, defend, and destroy any possible terrorist attack. Tom was part of deterring and reacting to attacks in Yemen, Saudi Arabia, Iraq, and in Afghanistan. During his 28 years, Tom conducted numerous real world missions including 6 combat tours. He has been awarded the Legion of Merit, Purple Heart, and the Combat Action Ribbon along with numerous other combat and peacetime awards. During his time in the Marine Corps, he regularly scored a perfect score on the Marine Corps Physical Fitness Test (PFT). The test consists of a 3-mile run, pullups, and crunches. To achieve a perfect score, you must run the 3-miles in under 18 minutes, do 20 strict pullups, and perform 100 crunches in less than 2 minutes. His best 3-mile run time was in 1994, while stationed in Cuba, where he ran a 16:45. Tom is a black belt instructor in the Marine Martial Arts Program, a Combat Water Survival Instructor, a High Intensity Training Instructor, an Assualt Climber and a Rappel Master. He has trained 1000s of Marines in Martial Arts and physical fitness throughout my career. He has ran several 5 and 10k races along with a couple half-marathons. Tom currently co-owns CrossFit Hammered Steel in Hernando, MS. He has his Level 1 CrossFit Trainer Cert, his Level 2 CrossFit Trainer Cert, and is currently studying for the CrossFit Level 3 exam. He also hold certs in CrossFit Mobility and CrossFit Weightlifting. He is certified as a USA Weightlifting Trainer. Tom’s passion is his other job. He is a Marine Instructor at Lake Cormorant High School. He teaches a leadership curriculum that centers on making young men and women better citizens of the United States. He also trains these cadets to compete in Physical Fitness. In 2017, Tom’s cadets won the State Championship in Physical Fitness competing with and bettering 85 other schools. The cadets finished either first or second in each of the 6 individual events. They are currently training to repeat as State Champions. They also finished third in the Nation in the co-ed Raider Challenge. The Raider Challenge is a grueling 2-day event that incorporates moving a heavy load over rough terrain, building and crossing rope bridges, knot tying, rock climbing and several other arduous tasks. Tom and his cadets look to capture the National Title this year in October.